The day after Valentine’s Day is Single’s Appreciation Day and that got us thinking: if you’re planning a short solo trip in your RV, where are some good places to go in the northeast? Try one of these destinations on for size. 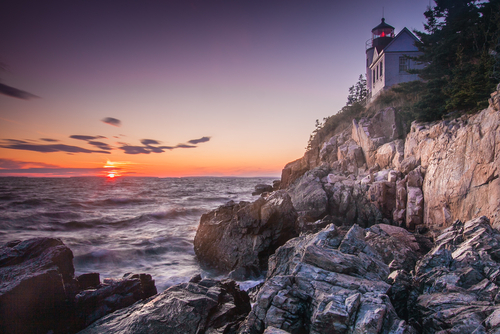 Acadia National Park is 47,000-acres of woods and mountains that was designated as a national park in 1919. If you want to spend some time getting a good workout and relaxing, visit this park to get the best of both worlds. Climb mountain peaks, hike woodland trails, and explore the coastline. Enjoy kayak trips in the many lakes or drive the carriage road system to see the stone-faced bridges. Don’t forget your camera – you’ll want pictures of everything including the waterfalls. Look for peregrine falcons on Echo Lake Beach, watch for moose and black bear, and relax on Sand Beach. You can also take the Island Explorer bus system around Acadia’s Park Loop Road. Whether it’s your first or tenth time visiting Niagara Falls, you’re bound to be blown away. The Niagara Falls National Heritage Area includes the communities of Lewiston, Youngstown, and Niagara Falls and spans from Wheatfield to the mouth of the great Niagara River. Take an exhilarating tour of the falls on the Maid of the Mist riverboat and allow yourself plenty of time to take in the splendor of the falls. Although, don’t miss out on the heritage area’s unique towns, museums, and other cultural sites. In the summer months, Cape Cod is constantly bustling with activities and tourist attractions for all ages. Visitors can explore the Cape Cod National Seashore, the Whydah Pirate Museum, the Cape Cod Light, nearby sand dunes, the Cape Cod Maritime Museum, the Sandwich Glass Museum and countless other attractions. Those who enjoy spending most of their vacation time in the outdoors can rent kayaks or paddle boards to venture into the area’s winding waterways. The island is also home to world-renowned golf courses, countless charming shops, and restaurants ranging from beachy burger shacks to fine dining in a historic beach home setting. Stop by Fretz RV before you go. You may not have a travel buddy, but Fretz RV is the next best thing. We’ll make sure that your rig is in good shape and that you’ve got all the supplies you need to have a fun and relaxing solo road trip.